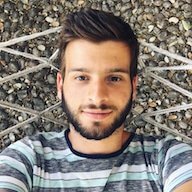 I'm a 24-year-old software developer coming from Mallorca who loves coding and designing great applications for Mac and iOS devices. I just finished studying Medicine at Universitat de Barcelona. I strongly believe that the synergy of medicine and app development can bring a huge leap to the way we understand healthcare and research. I am an experienced Objective-C programmer and a Swift enthusiast. I'm also interested in database design, web development and UI/UX workflows. Away from the keyboard, I love sailing, almost every music genre and many more TV shows than the ones I've got time to watch! I'm also a strong supporter of web standards, open source projects, green policies and human rights. © 2018 Guillem Servera. All rights reserved.